With the SanDisk Extreme microSDHC card, you don't just get more storage, you also get high performance that will facilitate fast data transfers in cameras, phones, tablets, and laptops (as long as you have a capable adapter or built-in slot). SanDisk, the flash memory company that's celebrating its 25th year in the industry this year, recently released some new Extreme microSD cards with capacities of 16GB, 32GB and 64GB. We tested the 16GB version in a couple of scenarios to see just how fast it can go. The new SanDisk Extreme range is designed not only to offer plenty of capacity, but also to be very quick when it comes to data transfers. SanDisk claims a read speed of 80 megabytes per second (MBps) for the cards, in addition to a write speed of 50MBps for the top 64GB model and 30MBps for the 16GB model we are reviewing here. The new cards are designed for the latest smartphones that have better-than-average camera functions (including Full HD video recording and fast burst mode), and tablets and any cameras that might use the smaller memory card form factor. Not all new smartphones and tablets on the market have microSD expansion slots, and even if they do, not all can support the highest capacity that the Extreme range of cards offers. The slot must support microSDXC for a 64GB capacity to be used, and it must support SDHC for 16GB or 32GB capacities. However, SanDisk is banking on new models from major phone manufacturers in the coming months, which will come with the ability to add more storage space. 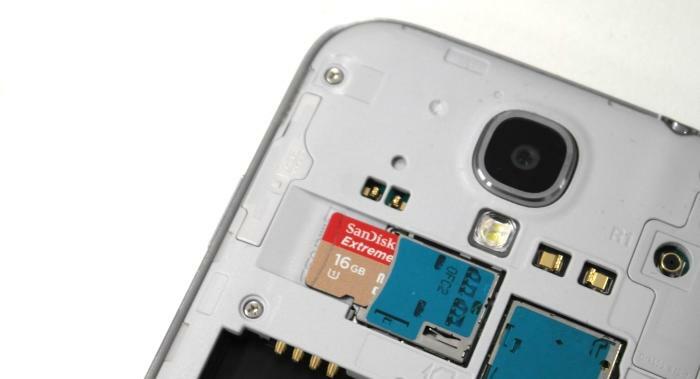 Currently, phones such as the Samsung Galaxy S4 (and S3), Samsung Galaxy Note II, Sony Xperia Z, and HTC Desire X, all support microSD expansion — you'll have to check to see if your phone can take one. Some tablets can also use them, and we've also seen one laptop on the market that takes microSD cards rather than a full-sized SD card: LG's Z360 Ultrabook (this laptop actually takes two microSD cards). It will be interesting to see if other laptop manufacturers go the same way. SanDisk also supplies a microSD-to-SD adapter in the package, so you can use it in a digital camera or plug it into a regular SD card slot in your computer. The 16GB SanDisk Extreme microSDHC card sitting in a Samsung Galaxy Note II. We used a fourth-generation Intel Core i7-based laptop (an ASUS N750JV) with a Realtek PCIe-based SD card reader to test the 16GB SanDisk Extreme card. We plugged it in to the laptop using SanDisk's supplied SD adapter, and CrystalDiskMark was used to gauge the card's sequential reading and writing performance. In the read test, it recorded a rate of 93 megabytes per second (MBps), and this is a result that's actually a little better than the 91MBps that SanDisk claims for this card in this particular benchmark (albeit for the 64GB version). The write rate was 26.68MBps, which is a little under the general rating of 30MBps that SanDisk quotes on its site for the 16GB card. Doing some basic file transfers to and from the card, also using the ASUS laptop, we achieved an average read rate of 76.28MBps, which would have been faster if not for some slight dips in the first third of the transfers — apart from those dips it sustained a rate of 87MBps. When writing, the card reached essentially the same rate as it did in CrystalDiskMark — 26MBps. We also chucked the Extreme microSD card into a Samsung NX300 camera, again using the SD adapter that SanDisk provided. The 16GB Extreme completed a series of burst mode shots (taking them and writing them to disk) in only 7sec. When we used our regular Class 6 SD card, the same burst mode test took 13sec. We also used a 64GB Samsung microSD card for comparison (using the same SanDisk adapter), and that took 12sec to complete the operation. While the performance of the SanDisk Extreme cards is what most people are probably interested in, it should be noted that these cards are also robust. They are designed to survive in 1m of salt water for 72 hours, and they can work in extreme cold and hot conditions (-25 degrees Celsius and 85 degrees Celsius). We dipped one into a glass of water to quickly check the waterproof claim; after drying it, of course, the card had no problems being read and written in our devices — it performed just as expected when we re-tested it. 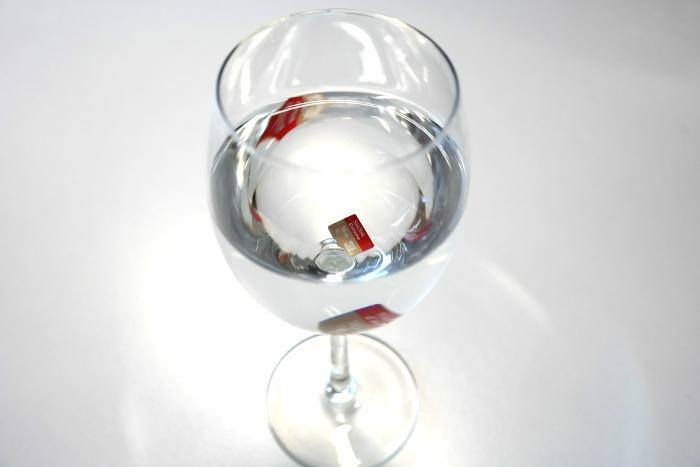 The 16GB SanDisk Extreme microSDHC card sitting in a glass of water. Overall, the 16GB SanDisk Extreme microSD card is a zippy performer, even approaching the read speed of solid state drives that can be found in low-end Windows hybrid devices such as the HP Envy X2. The performance boost it gave when we used it with a digital camera was also noticeable.